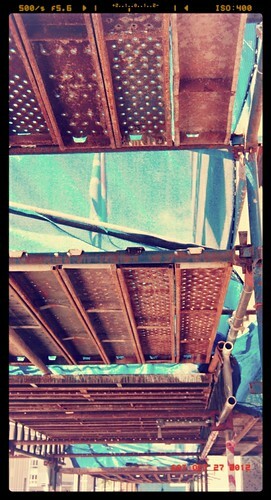 I have a thing for scaffolding- which is by now public knowledge- and pretty ugly things. You know when its so ugly its cool again? Especially if it's architecture. 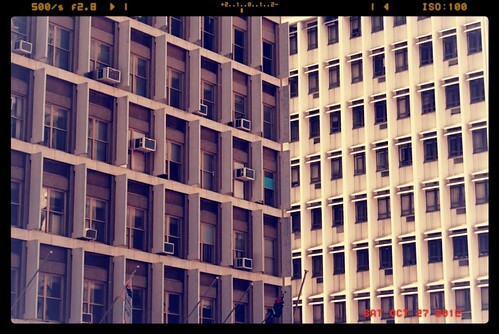 I kinda love these two buildings - their total lack of beauty make me wonder what was the architect thinking... But the utter ugly structure transforms into a really pretty pattern... which I kinda dig. Guess that makes me kinda weird? Or I unwittingly got what the architecture was trying to achieve?